A vcard is short for virtual business card (here’s mine). The beauty of a vcard is that it can be electronically imported into your address book and saves trees. 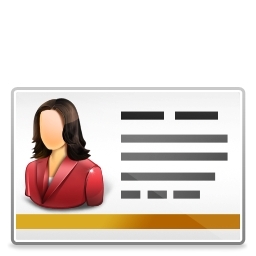 Most professional websites will have an icon or link for downloading that person’s vcard. Once downloaded, all you need to do is open your contacts program, click import contact and select the downloaded vcard. That’s a lot quicker and more accurate than physically typing all the data in a paper business card, which can be keyed in incorrectly. Generic filename:Instead of naming the file Shirish_Gupta.vcf, vcards are often called vcard.vcf. This does not help the downloader identify whose vcard is whose without opening the files. Incorrect field names: Too often, I see incomplete or incorrect field names. For example, the following vcard entries don’t specify that these are work entries. So, Gmail categorizes them as Other instead of Work. I then have to go back and fix these. Empty Note Field: The note field is your opportunity to say in a few sentences what you do and what sets you apart. It’s the like elevator pitch version of a resume. The key here is if someone searches their contacts for your practice area, you’ll show up. For example, I often search my contacts for immigration or family lawyers. So, unless you or I have put those keywords in your Note field or those words appear in your firm name, you won’t show up in my search result. That’s a missed referral opportunity. Link to the firm homepage instead of the person’s online bio: Worse yet, some people’s “item1.URL” goes to their main company page. From your vcard, I want to learn more about you, not your firm. And it’s easy to get to the company page from your bio page. For example, to get from http://shirishgupta.com/#about to my company homepage, it’s pretty clear that all you need to do is delete “#about”. Including the Main number and a Direct Dial: If I have your direct phone number, why would I ever call the main switchboard and ask the receptionist to connect us? Including a Fax Number: At this point in the 201x’s, email has trounced fax. Sending or receiving a fax is so uncommon that it isn’t worth listing on a business card. I omitted mine years ago and get asked for the number maybe once a year. Too much information: The vcard should have the same information as a business card plus a few key details that would help the person remember you or know more about your practice. It should not be a CV, so don’t fill up the note field with details like where you went to high school or all of the cases you’ve won. Including country info: Unless you do a lot of work internationally, omit the country field. Plus, most foreigners know that California is in the U.S.A. The sending of an email to a Greenberg Traurig lawyer does not create, and the receipt of it does not constitute, an attorney-client relationship. This website presents general information about Greenberg Traurig LLP which is not intended to be legal advice, nor should you consider it as such. Please be aware that anything you send to anyone at the firm will not be confidential, secret, privileged or otherwise protected from disclosure unless we have formally agreed to represent you in writing and a conflicts check has been successfully completed. Unless we have created an attorney-client relationship in writing, please understand that no information provided in an email that you send to one of our lawyers will prevent Greenberg Traurig from representing a different client in the same matter. Also, by acknowledging the terms here, you consent to the firm’s subsequent use of information that you provide us in the representation of another client. Consequently, please do not send confidential or sensitive information and/or documents to anyone at the Firm until you have been notified that a formal attorney-client relationship has been established. Two reasons: first, the whole purpose of a vcard is easy importing. If I have to import the information and then correct mistakes, then it saves me almost no time than if I had keyed in the business card info. Second, it projects a professional image. When I see a poorly designed website, business card or vcard, it makes me think less of the person or firm, especially if they are in the technology space. Why not just scan the card? While tempting, OCR software isn’t perfect at reading the business card info. You’ll need to double check that the fields are populated correctly, especially when the font, color and pitch of business cards vary dramatically. For example, in my business card above, I use red and black serif & sans serif font with multiple pitches. Note that not all of the card text is in focus. Don’t get me started on people who use a cursive font on business cards. With a vcard, I don’t have to worry that any of the data was misread. Shirish cannot become Shjrish. The OCR technology isn’t there yet to save me enough time as a properly formatted vcard does. QR (Quick Response) codes are 2 dimensional barcodes that can be read by smartphone readers (thanks Wikipedia!). They will link to pretty much anything stored or available on the internet: website, vcard, Youtube page, LinkedIn page, Event. To generate your own free QR code, try a site like: http://www.qrstuff.com/. The reason they can’t replace a vcard is that they provide a way to download a vcard. The code does not act as the vcard itself. You can put a QR code on your business card so someone doesn’t have to do a google search for you. But once they get to the landing page, they’ll still need to download the vcard and import it into their contacts.